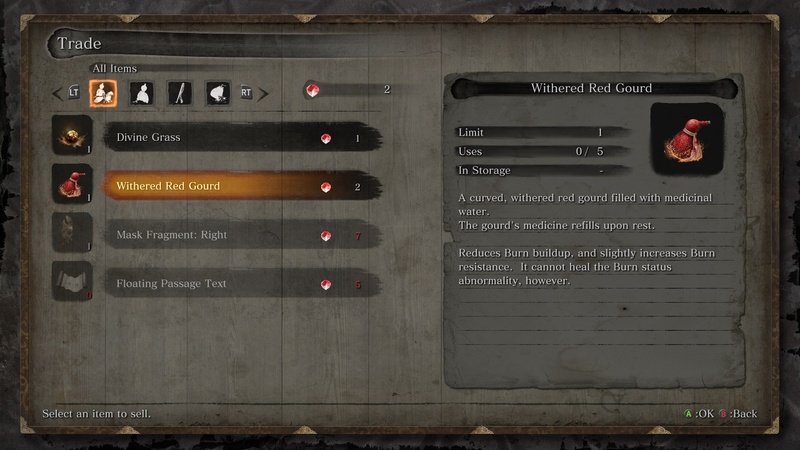 What the heck are Sekiro Treasure Carp scales and why should you be searching every body of water for them? It goes without saying that a new FromSoftware game brings plenty of fresh mysteries and curiosities for players to suss out. This time around instead of Crystal Lizards or creepy Gothic Piles we have Treasure Carp to hunt down, thieve their scales, and use them to buy new gear. This rare breed of fish who occupy the shorelines, ponds, and streams of Sekiro’s fantastical reimagining late 16th century Sengoku period Japan. 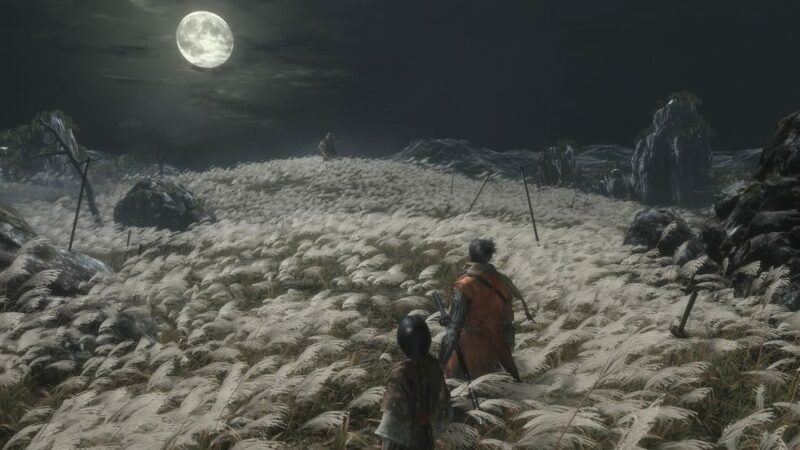 Sekiro: Shadows Die Twice Treasure Carp scales are easily one of the strangest currencies going in games, and stranger still are the items you can spend them on. You can use Treasure Carp scales in order to get everything from new gear and healing items, to attacking moves and mysterious objects. And cap off all the madness, the vendor you’ll want to visit is trapped in a pot floating in a stream. You know, because Miyazaki. You’ll find these Sekiro Treasure Carp scales either by on the fish themselves (after killing them) or in certain bodies of water around the world. To help you out, we’ve noted the locations for all the Sekiro scales we’ve found so far, as well as where you’ll find the first couple of Treasure Carp scales vendors and what they sell. The first Treasure Carp scale vendor you’ll meet is called Pot Noble Harunaga. He can be found in a blue barrel in the memory of the Hirata Estate. Near the beginning there is a large, ancient-looking bridge, and if you look to the right of this you should see some small islands in the stream. Swim across to them and talk to the chap in the barrel for the weirdest shopping experience of your life. Divine Grass – This is an incredibly potent healing item. Very useful, but probably the least exciting thing here. Costs two Treasure Carp scale. Withered Red Gourd – This one refills at each rest and reduces burn buildup and can increase your resistance, too. Costs two Treasure Carp scale. Mask Fragment: Right – Together with the left fragment and the dragon fragment, this mask allows you to exchange skill points for attack power. Floating Passage Text – This is a cool combat ability that lets you unleash a flurry of fancy sword attacks. It also ties into a later ability. Costs five Treasure Carp scale. Pot Noble Koremori is the second Treasure Carp scales vendor you’ll find. You will have to progress quite a bit in order to meet this vendor in Fountainhead Palace. When you have the Palace Grounds Idol unlocked, go through the nearby building and out of the left exit. Immediately turn right and you will see a cave in the cliff in front of you. Jump out and grapple to it and make your way through the cave, and eventually you’ll encounter Pot Noble Koremori. Dragon’s Blood Droplet – This helps to reduce the Dragonrot Curse. Lapis Lazuli – An incredibly hard to find endgame crafting item. Mask Fragment: Left – Together with the right fragment and the dragon fragment, this mask allows you to exchange skill points for attack power. You can find four carp swimming in the lake where you see the Pot Noble Harunaga vendor. To get there, head to the Hirata Estate region and jump down the cliff at the Dragonspring Idol. Once you hop down, you should see the lake on the right side. In the same area as the vendor is a giant bridge and at the beginning of it you’ll see a scale on the shore, which should stand-out as it’ll be glowing gold. After you pass the Bamboo Thicket Slope Idol, you should be able to jump up to a ledge on the left and then into the water. Once there you can cut down another treasure carp for a scale. These two are after the Temple Grounds Idol. If you look way down past some buildings you should see a pool. Jump in and kill the carps. From the Mibu Village Idol follow the small stream down to fight a poison ninja. 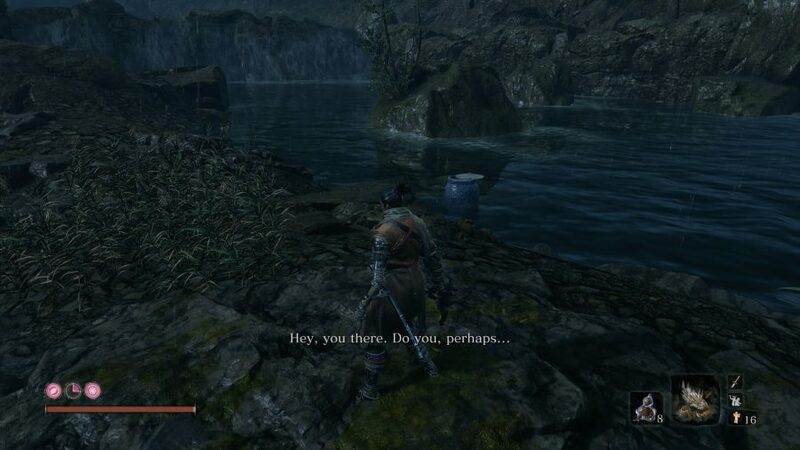 The item on the floor near this enemy is a Sekiro Treasure Carp scale. Also near the Mibu Village Idol is a merchant who will flog two more scales to you at 500 coins a piece. As part of the game’s story, you’ll come to a lake between the Gun Fort Idol and Riven Cave Idol that has two carp. If you’ve defeated the Corrupted Monk boss fight in Ashina Depths, then you should have the diving ability. If so, you can use that ability here to get behind the carp and attack them from behind. You can also find a third scale on the floor of the lake if you dive down to fetch it. It’s just a regular pick-up, so no killing is required this time. After you’ve defeated the Corrupted Monk and Guardian Ape you should have the two ingredients from the caves they were guarding. This means that you can return to Ashina Castle and get another scale. Once you’re there, bypass the locked Idols by going through the Abandoned Dungeon area. You can then dive in the water below the bridge where the Ashina Castle Idol is and find a Treasure Carp. Next to where you fight O’rin of the Water and the Corrupted Monk Spirit, there’s a Sekiro Treasure Carp Scale in the stream flowing towards the Water Mill.